I love the scrolling detail in this floral patterned, sterling bezel frame. And the addition of rounded corners here really completes the look of these two-sided, hand-made clay photo tile pendants. 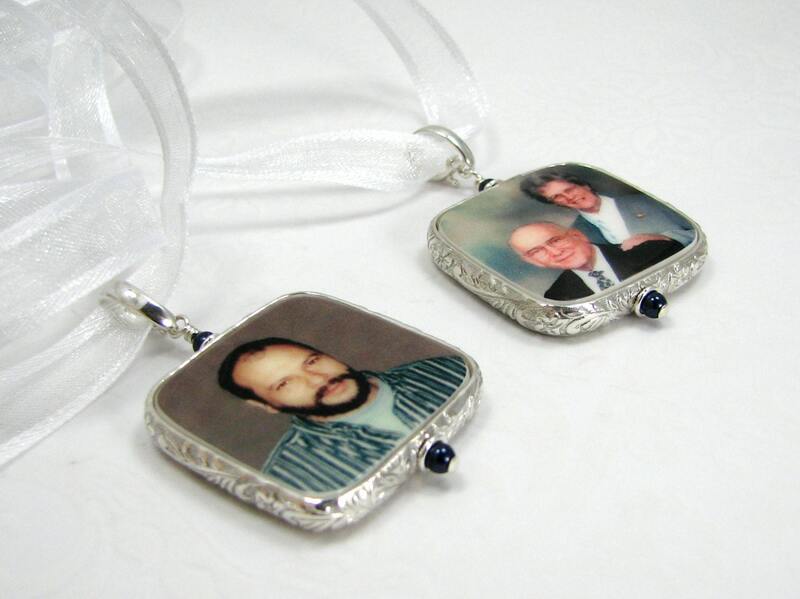 They are 1" X 1" in size and you can use two images, or have a custom text image designed. Do you have a love note, a message, or a sentimental card you keep tucked away in a special place? If you can photograph it, I can bake it into a tile for you. 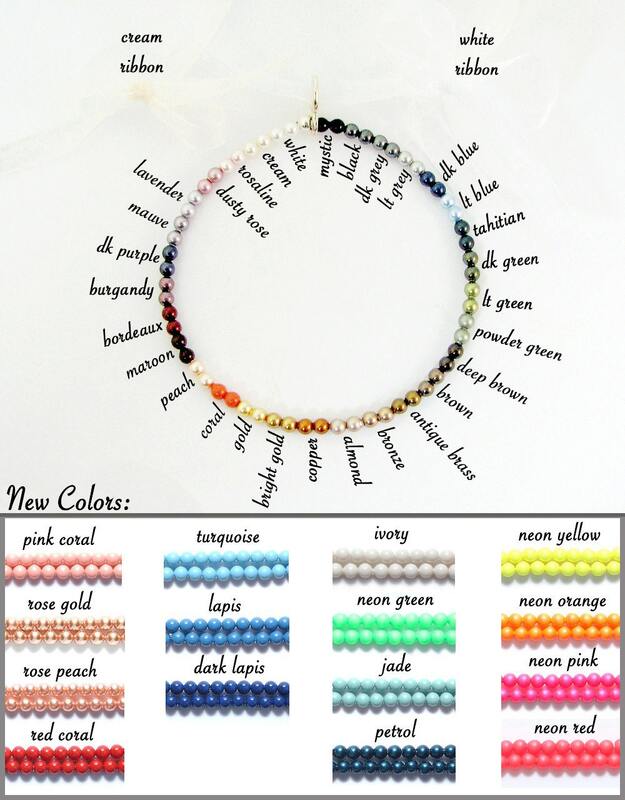 Select your favorite Swarovski crystal pearl color from the options above. 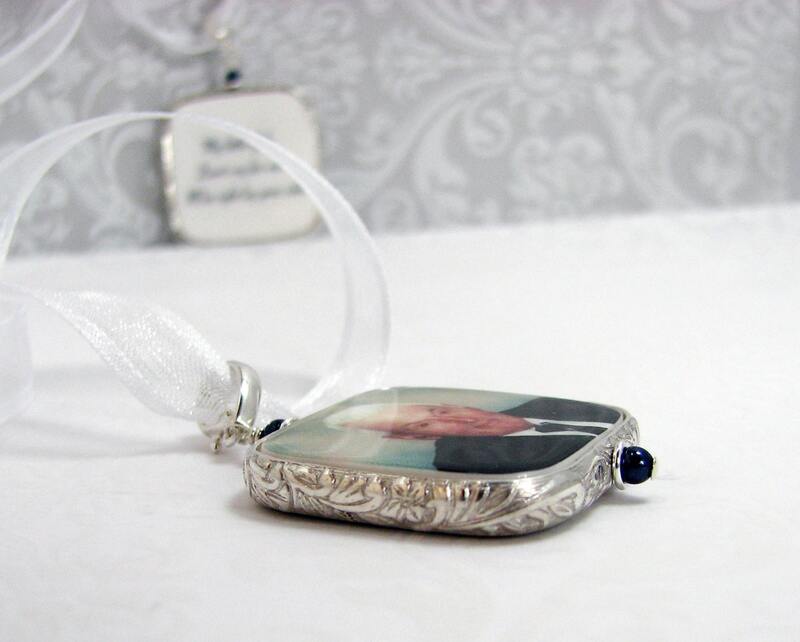 My photo tiles are 100% handmade with your precious digital images baked right in the clay. Each tile is then sanded and shaped before entering the sealing process. At that point, each tile is sanded repeatedly in between numerous layers of sealer resulting in a finish that is waterproof and UV proof with a glossy, glass-like finish. My photo tiles are extremely lightweight, ultra smooth, very scratch resistant. 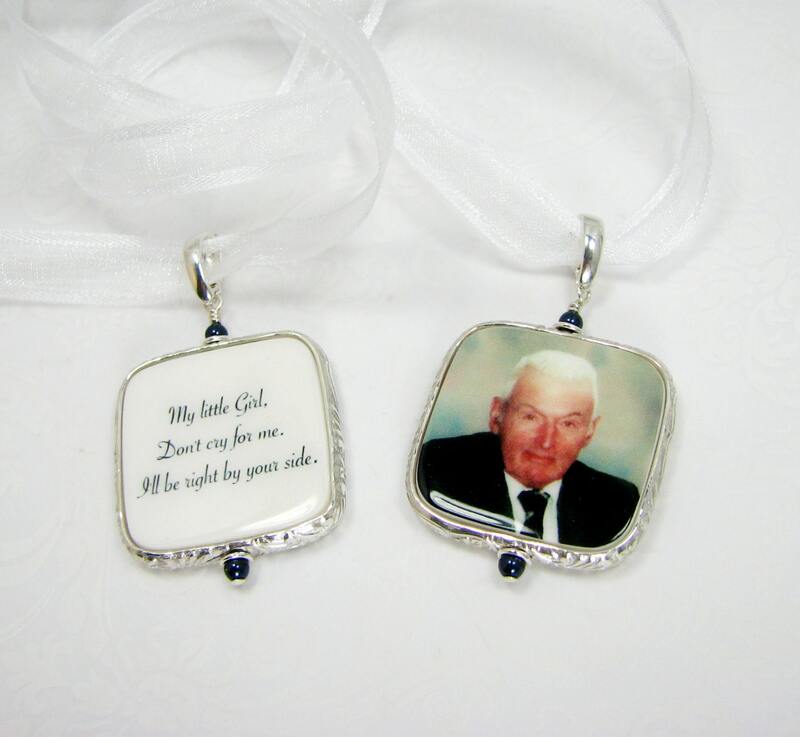 Unless otherwise stated, my photo tiles are assembled with only the finest .925 sterling silver components available. Most are available in 14K gold upon request.